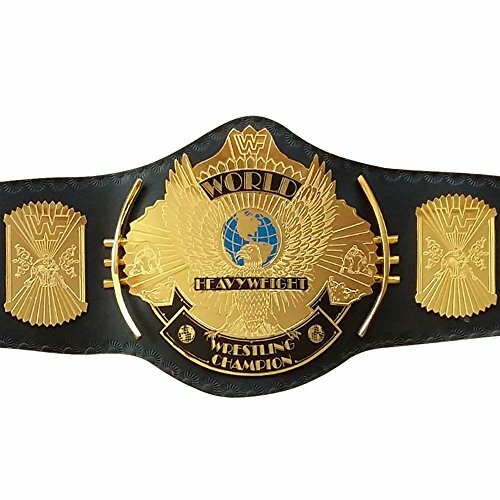 Classic Gold Winged Eagle Championship Replica Belt It is taken from a mold of the ORIGINAL Belt handmade. It is the same thickness and length as the original belt. It measures 51 inches in length The center medallions measures 11 inches tall. It has 2 medallions on one side and 3 on the other side. The Belt is made out of real leather. 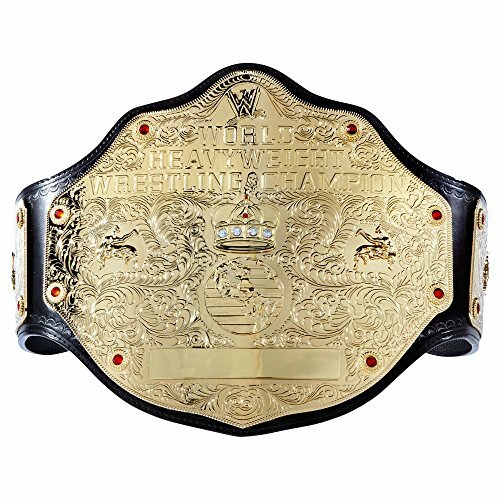 Winged Eagle Classic Gold Championship Replica Belt - Classic with 2.5 mm thick plates. It is taken from a mold of the ORIGINAL Belt handmade It is the same thickness and length as the original belt. It measures 51 inches in length The center medallions measures 11 inches tall. It has 2 medallions on one side and 3 on the other side. The belt is made out of real leather. Fits up to a 46 inch waist. Be a true Champion with this Replica Championship Title! Weighing over 5 pounds, holding this Title will make you feel like a true WWE Champion. It is molded from the actual title and is carefully constructed in stunning detail. Plate Material: Zinc Alloy Strap Material: Polyurethane Strap Dimensions:50.39" x 11.02" x 0.2" Largest Waist Size: 46" Weight: 5.62 lbs. (2550g) Snap Fasteners Includes Cloth Carrying Bag with WWE Logo Customizable Side Plates Plate Length and Width Main Plate:10.16" x 10.16" Side Plate: 5.94" x 5.51" Plate Thickness Main Plate:0.28" Side Plate:0.2"
This WWEChampionship Spinner ReplicaTitle belt is highly detailed, featuring over 3000 faux diamonds and a three dimensional spinning WWE logo center plate. The high quality plating is a two tone silver and gold process. Plate Material: Zinc Alloy Strap Material: Polyurethane Strap Dimensions:55.9" x 10.43" x 0.2" Largest Waist Size: 52" Weight: 7.05lbs. (3200g) Removable Namplate Plate Length and Width Main Plate: 9.29" x 10.16"; 1st Side Plate: 4.82" x 4.19"; 2nd Side Plate: 3.27" x 3.03" Plate Thickness Main Plate:0.79" Side Plate:0.28"
THESE CHAMPIONSHIP BELTS ARE NOT ENGRAVEABLE Now, you can be the WWE Champion for an unbeatable price. 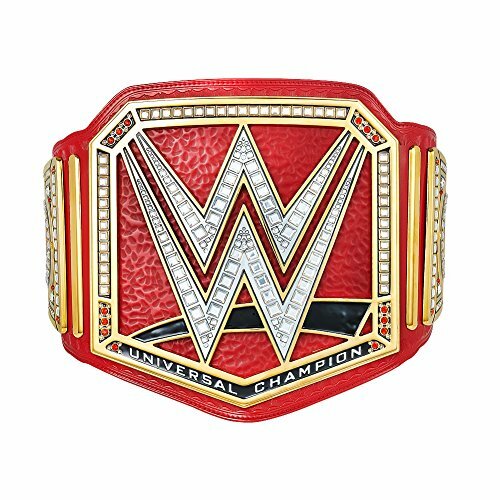 Continuing with the sucess of the WWE RAW Spinning Championship Commemorative Title Belt, the WWE World Heavyweight Championship Commemorative Title Belt is now available! 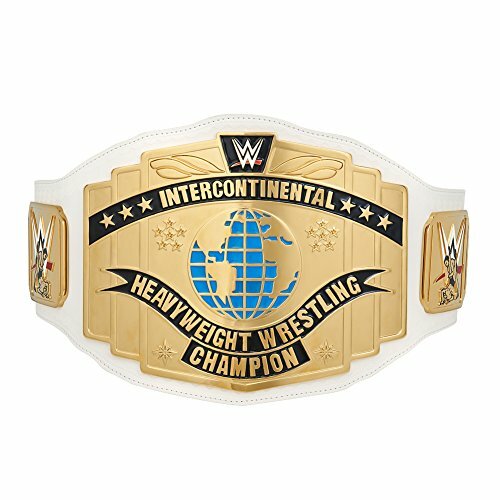 The championship commemorative title plates are made from a high quality acrylic plastic and has the same dimensions of the original WWE World Heavyweight Championship title belt that you see on TV. The difference between this commemorative belt and our replica title is that our replica title plates are made of metal not plastic. 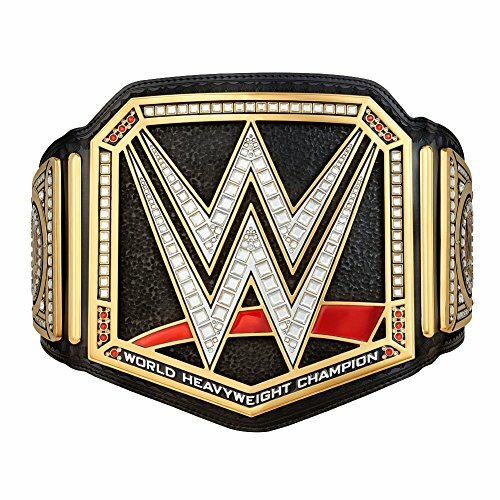 WWE World Heavyweight Championship Title with new curved plates and WWE Logo on centerplate. Exact-scale replica that measures 4 feet 4 inches long. 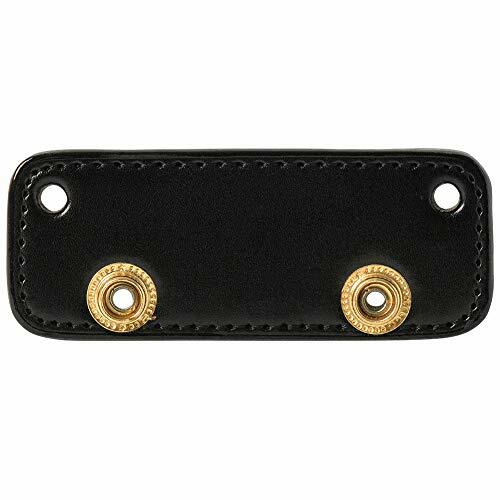 The strap is made of simulated leather and the center medallion measures 11.5 inches high. Title and strap are exact thickness and fastens by snaps on each side. Plates are 2mm thick and are curved. Medallions are ornamented by 22 simulated ruby studs. Fits up to a 42 inch waist. Molded from the actual championship belt. This is perfect for any wrestling fan ages 8 and older. Comes with a WWE Cloth Bag. 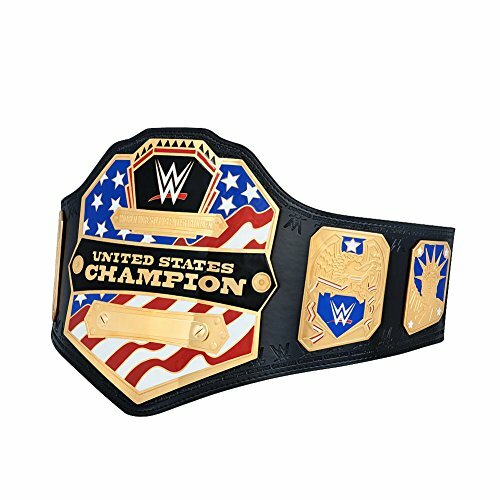 Made of a high-quality plastic and half the weight of the replica version, this Commemorative Championship Title Belt is perfect for displaying on a shelf or wall. 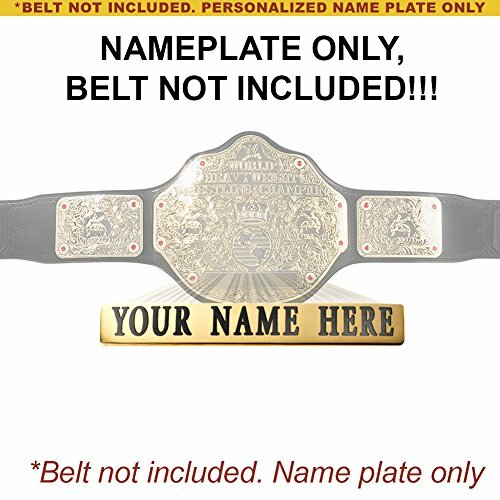 Add this title to your collection and show everyone that the CHAMP IS HERE! Created from a mold of the actual Championship Title Faux Leather straps with fine detailing and the supple feel of authentic leather Gold electro plating includes coating to prevent scratching and retain color Metal enhancements for long term durability Jeweled main and side plate details just as the original title belt are all placed and secured individually by hand Fits up to a 46 inch waist Includes exclusive WWE Micro Fiber Storage Case with foam padding for protection Plate Specifications Front plate made of ABS Plastic for durability - 10.12" x 10.16" Front plate made of ABS Plastic for durability - 5.51" x 5.94"
Replica Belt Wall Hanger allows you to hang your WWE replica belt from a wall. Comes with screws and anchors for easy installation. Once fastened to the wall, the belt covers the hanger and all you see is the belt. This one fits the following belts in adult, deluxe, ultra deluxe and commemorative: WWE Spinning Championship, WWE Intercontinental (Classic version and Current), WWE World Heavyweight (Big Gold), WWE Smoking Skull, WWE Undisputed Version 2, WWE Classic Women's, WWE Classic Cruiserweight, WWE United States, WWE Divas, WWE Undisputed Version 1 (WWE Shop Version), NXT Womens and Tag Team, ROH World, Tag & TV, UFC, AWA & Andre 1987. THE DISTANCE FROM THE MIDDLE OF ONE SNAP TO THE MIDDLE OF THE NEXT SNAP ON THIS BELT HANGER IS APPROX. 2 INCHES! PLEASE MEASURE YOUR BELT BEFORE ORDERING TO MAKE SURE THIS WILL FIT! 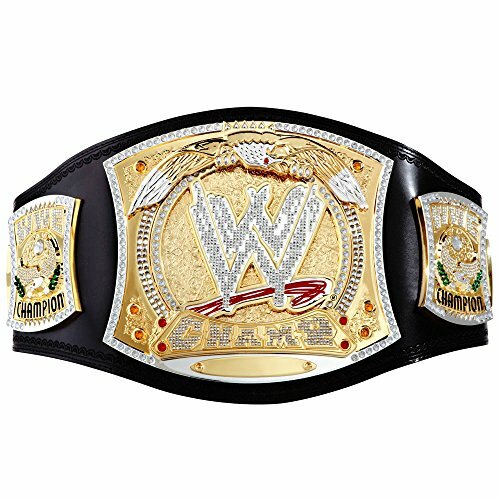 Be a true champion with this Championship Replica Title! Weighing over 5 pounds, holding this Title will make you feel like a true WWE Champion. It is molded from the actual title and is carefully constructed in stunning detail. Plate Material: Zinc Alloy Strap Material: Polyurethane Strap Dimensions:50.39" x 11.02" x 0.2" Largest Waist Size: 46" Weight: 5.62 lbs. (2550g) Snap Fasteners Includes Cloth Carrying Bag with WWE Logo Customizable Side Plates Plate Length and Width Main Plate:10.16" x 10.16" Side Plate: 5.94" x 5.51" Plate Thickness Main Plate:0.28" Side Plate:0.2"
Featuring the NEW WWE Logo unveiled in 2014, this WWE United States Championship Replica Title Belt is an exact-scale replica of the one seen on Monday Night RAW & Smackdown. This replica comes with a removable and engravable nameplate for personalization. Plate Material: Stainless Steel Side Plate Material: Zinc Alloy Strap Material: Polyurethane Strap Dimensions:51.18" x 10.24" x 0.2" Largest Waist Size: 47" Weight: 3.59 lbs. (1630g) Snap Fasteners Includes Cloth Carrying Bag with WWE Logo Plate Length and Width Main Plate: 9.17" x 9.13" 1st Side Plate: 2.75" x 4.21" 2nd Side Plate: 3.27" x 2.44 Plate Thickness 0.08"